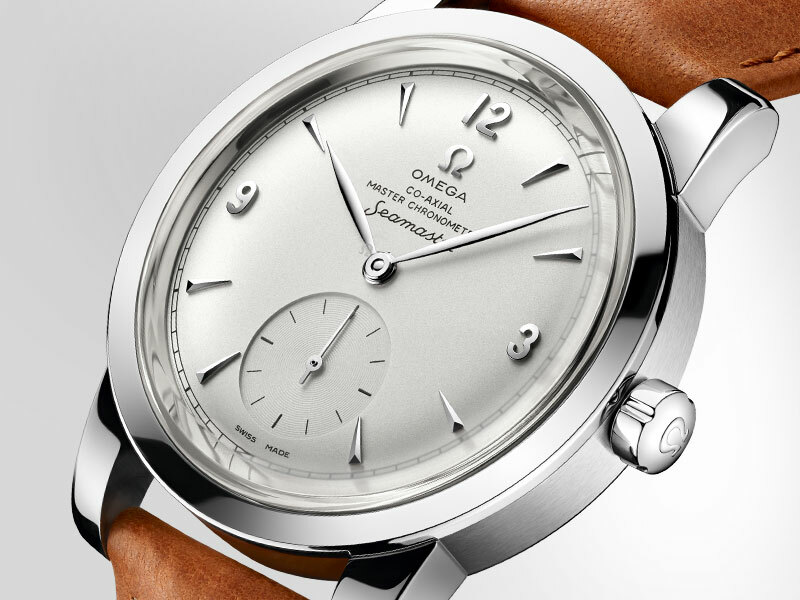 Launched in 1948, the Seamaster line was OMEGA's first family of watches. A blend of battle-proven technology and beautiful design, they would go on to conquer the watchmaking world. 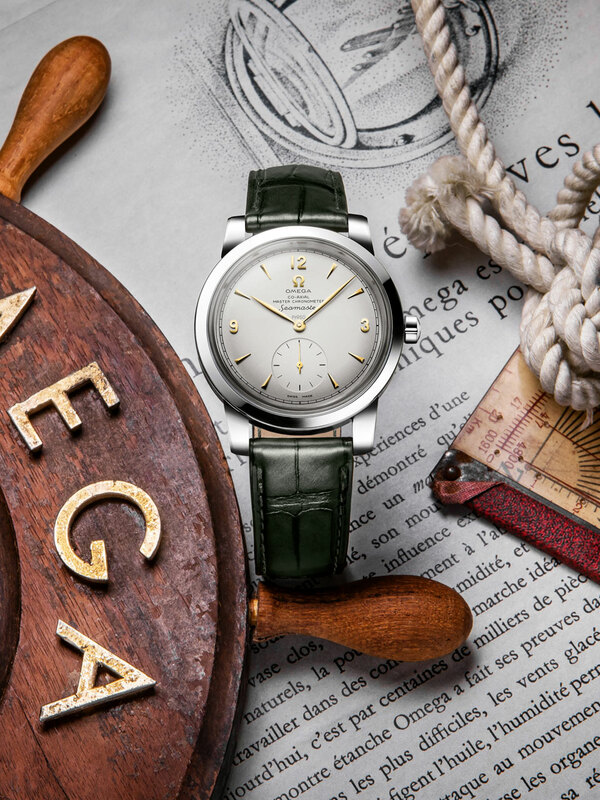 Released to commemorate the 70th Anniversary of the Seamaster, these 1948 Limited Editions pay tribute to OMEGA's original post-war classics. Between 1940 and 1945, OMEGA delivered more than 110,000 timepieces to the British Ministry of Defence (MoD), all highly valued by British airmen and sailors for their water-resistance and reliability in combat. 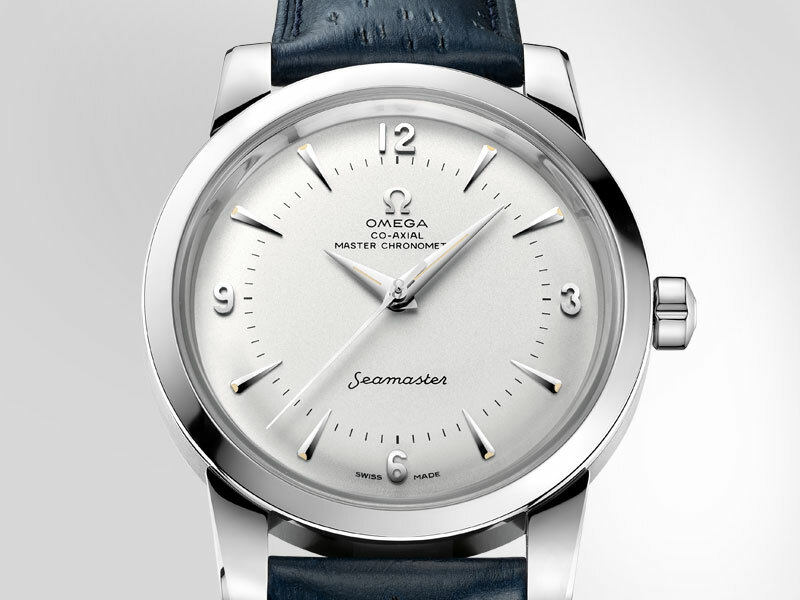 A demand for a peacetime application of this robust technology led to the creation of the Seamaster. 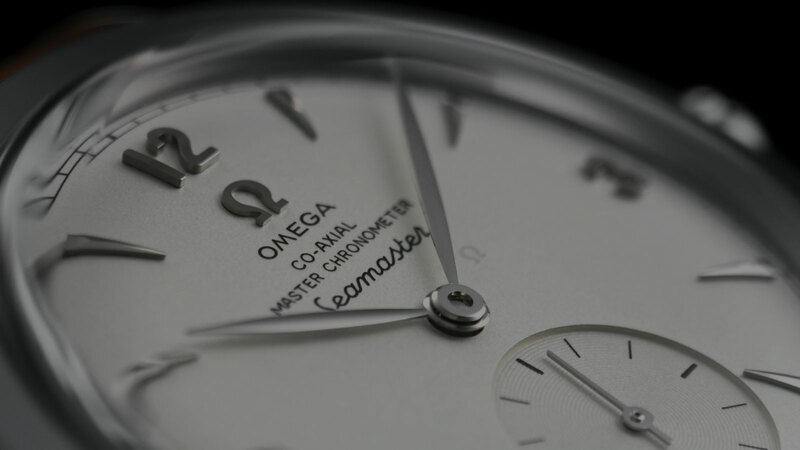 "…OMEGA's peaceful use of wartime technology produced the ultimate civilian timepiece…"
The dial of the Seamaster 1948 Small Seconds includes a small seconds indication at 6 o'clock, as well as leaf-style hour and domed minute hand. The watch is presented on a brown leather strap with a polished-brushed stainless steel buckle. Graced with Dauphine style hour and minute hands filled with white Super-LumiNova, the dial of the Central Second model is clean and classic. A blue-grey leather strap completes the look. 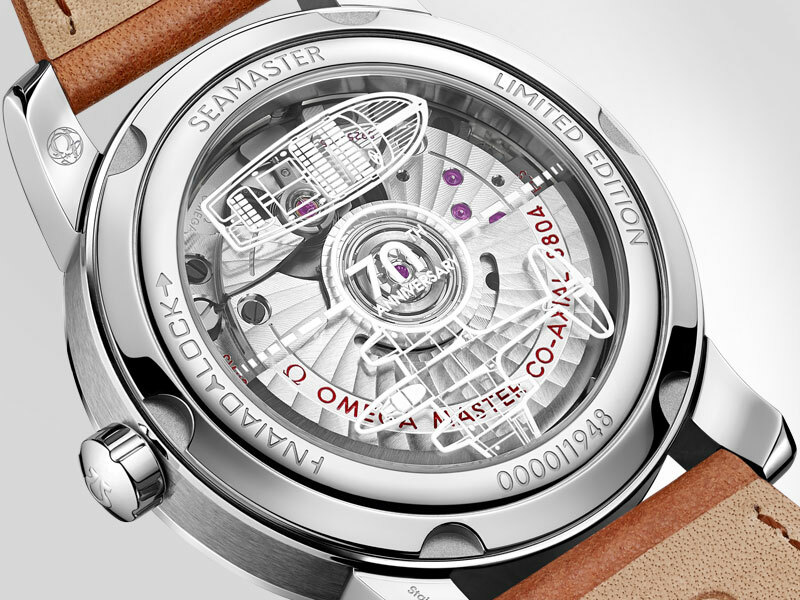 "…In keeping with the strap style of the original '48 models, both buckles include a vintage OMEGA logo…"
As a further tribute to the many aviators and mariners who have placed their trust in OMEGA, the flat sapphire crystal caseback of each watch is laser engraved and lacquered by hand with a 70th Anniversary logo, a Chris-Craft boat and Gloster Meteor aircraft - the first jet plane used by the Royal Air Force. 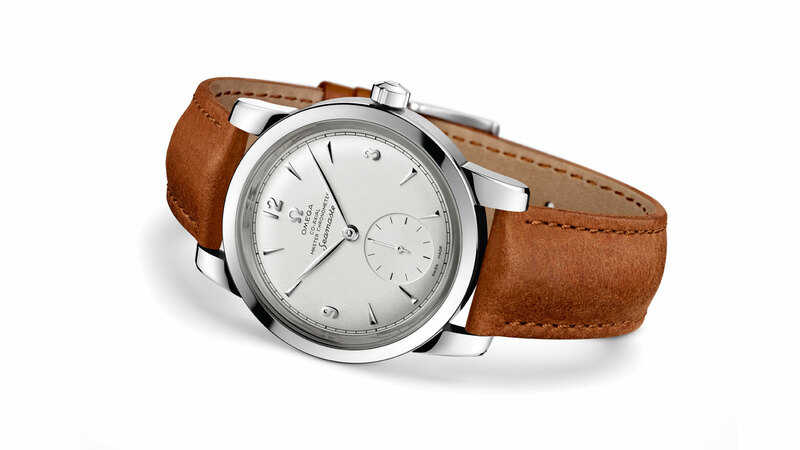 A stainless steel case, polished bezel, opaline silvery domed dial and polished crown, embossed with vintage OMEGA logo are common to both models. The watches are presented in their own special collector's box made of soft brown leather and kept upright but easily moveable thanks to a magnetic floor. A spare NATO strap, leather strap and strap changing tool are also included. Each model is limited to 1,948 pieces. 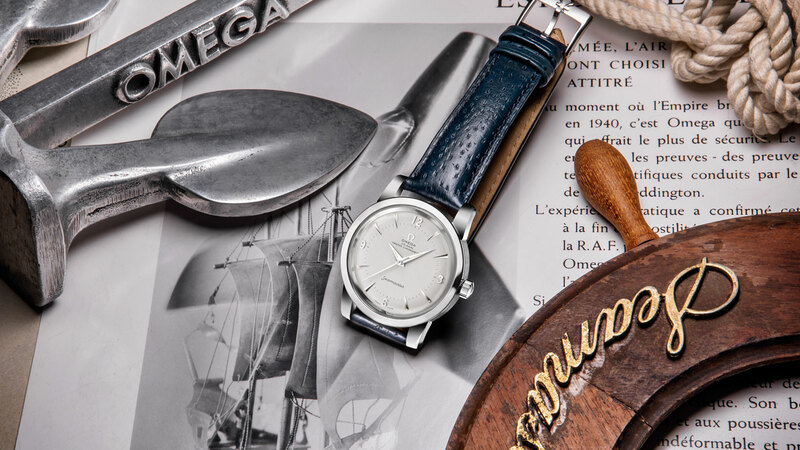 As a further tribute to this peaceful use of wartime technology, OMEGA has produced two models cased in 950 platinum, each limited to just 70 pieces. In keeping with the luxury finish, the Master Chronometer movements include an 18K Sedna™ gold rotor and balance bridge. Adding even more shine to the classic post-war design are hands in 18K Sedna™ gold or 18K yellow gold - depending on the model.